I am appearing for the SSC examination conducted by FCI department for various posts and regarding that I have been told to download the admit card of the entrance examination which will act as my hall â€“ticket during the examination. So tell me that from where can I download this admit card? I applied for the Food Corporation of India (FCI) Watchman Examination searching for the admit card to download. 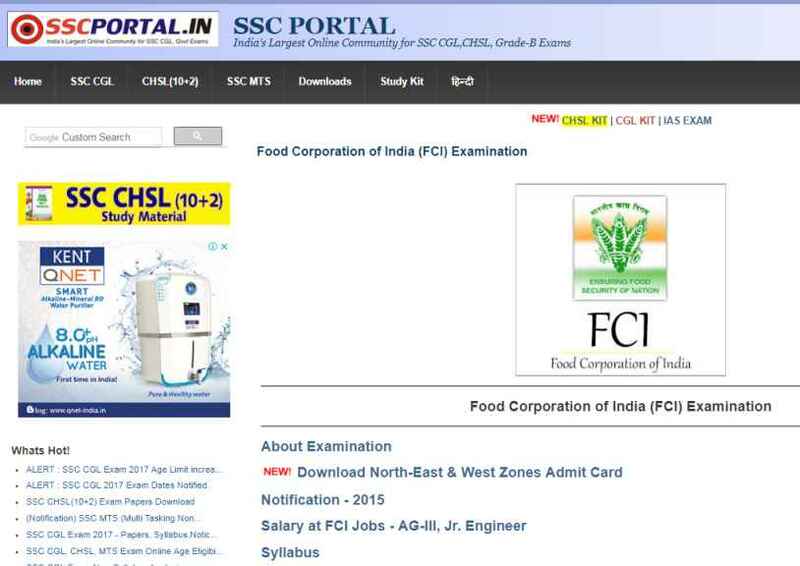 Will you please provide me steps for Downloading Admit Card of SSC FCI online from official portal of FCI also provide corporation contact detail and address?